I've been doing a lot of thinking about my Summer Spruce Up house projects. Mainly about how I am going to get all the things done that I want to, especially with two kids on summer break. But, there have been a lot of other things to consider like paint colors and fabric choices, materials needed and staying within budget. Being a list person, I was finding myself with scratch paper here, there and everywhere. I decided I needed a system, a schedule, a plan for all these projects. So, I created a binder for all my thoughts and ideas. Organization makes me happy. 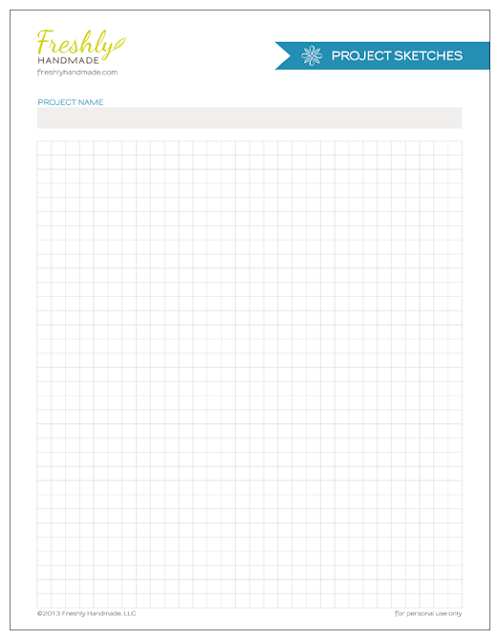 Inside, I made some tabs for each project I plan to tackle. The tabs were made by trimming down manila file folders. 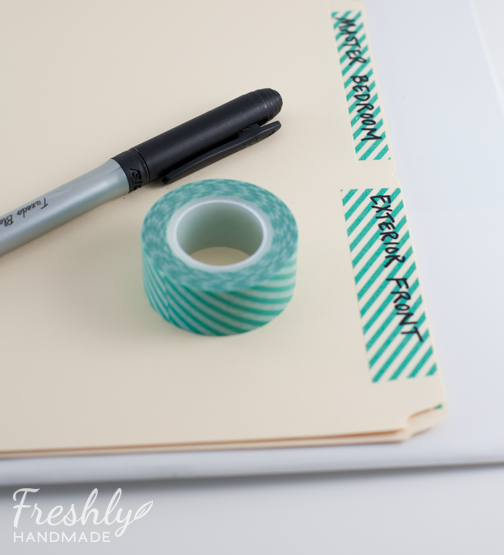 Then, I created labels using striped washi tape. Quick and easy. 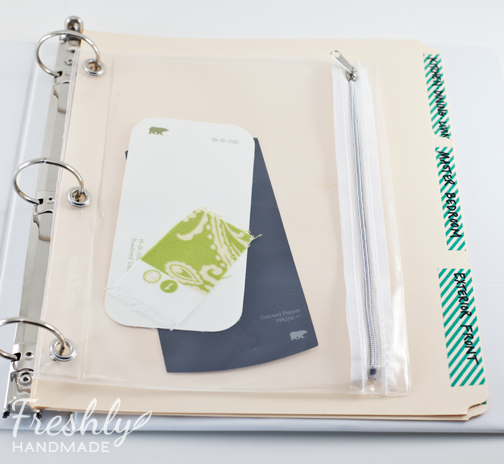 At the beginning of each school year, I stock up on these clear binder pouches for my own projects. They are great for holding paint chips and fabric swatches. 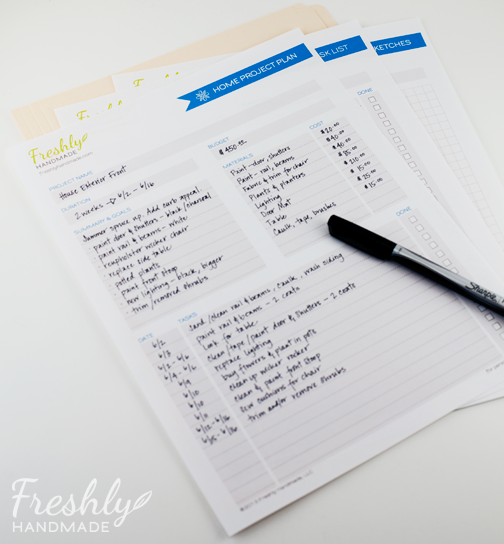 What is really going to keep me on schedule are these planning worksheets that I created for myself. 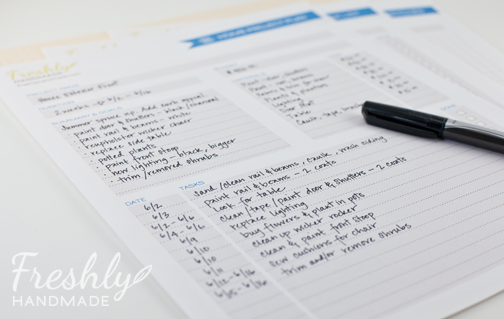 Home Project Plan for writing down goals, materials needed, overall budget and daily tasks. Project Task List for documenting what steps I need to take and when I will need to accomplish them. Project Sketches for drawing up ideas of how I'd like the space to look. 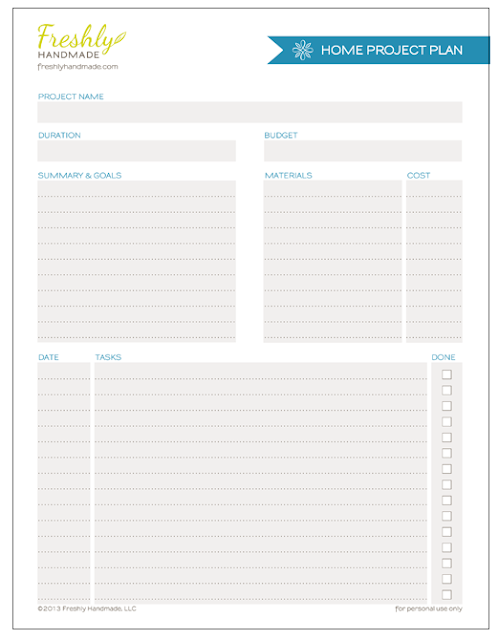 And, the good news is that I'm making these worksheets available to you for your own project planning needs. Click on each of the worksheet images below to access a PDF version that you can print at home. I hope you find these worksheets helpful and planning easier. I've decided my first project is going to be to spruce up the front of the house. I'll post on that very soon. Fabulous worksheets I have already printed up one set...Thanks for sharing!